The Daily GRRR! HEADLINES for March 13th, 2015. 1. York University Undergrads Stage Solidarity Sit-In With 3903 Strikers. 2. Ongoing Rights Abuses at The Baffin Correctional Centre. 3. BC Starving Prisoners in Cost Reduction Effort. 4. Attorney General and Edmonton Guards Sued By Inmate After Hostage Taking Incident. 5. Canadian Government Introduces "Life Means Life" Sentencing Reform. 6. Transgender Guatemalan Woman in Male American Immigrant Detention Centre. 7. Rainbow Reels Continues This Weekend in Waterloo Region. Welcome, I am your host Dan Kellar and you are listening to The Daily GRRR! Waves Through Walls: Prison Radio, on 100.3fm, CKMS in Waterloo, Ontario. Soundfm.ca on the web, today is Friday March 13th, 2015. The clip that kicked off the show is from Mumia Abu-Jamal with his piece entitled Unsaid in Selma. Check prisonradio.org for more of Mumia’s podcasts. Today’s feature is a read of an article from PrisonWatchUK by Sean Regan which looks at the so-called "scandinavian" prison model which focuses on empowerment and rehabilitation rather than strict punishment. On Thursday morning, a large group of undergraduate students took over the York University Senate's Office with a sit-in to demand respect for 3903 strikers. class unless a fair contract with CUPE 3903 is reached. York Administration should go back to the bargaining table immediately!”. The sit-in lasted several hours during a senate meeting, with students deciding to end it so they could return to further organising efforts in support of the striking TAs, RAs, GAs, and contract profs. The press release continued "We will not cross the picket lines and betray our TAs and colleagues!" The statement of solidarity starts "We, the undergraduate student body of York University, resolve to stand in solidarity with our mentors, our colleagues, and our friends by refusing to cross the picket line established by CUPE 3903 should academic activity resume amid the ongoing labour disruption." While The senate ordered Osgoode Law School to resume classes, they will not decide on other faculties until at least monday, giving people plenty of time to show the administration why strike breaking tactics are bad policy. With another damning report on the The Baffin Correctional Centre, a senior bureaucrat warns that there are "serious constitutional and legal concerns associated with the ongoing use of the Baffin Correctional Centre." That official, Elizabeth Sanderson continued "In my opinion, the government of Nunavut is likely in significant breach of constitutional obligations towards remanded accused and inmates housed at the BCC facility, and faces a high risk of civil liability towards inmates, staff and members of the public in tort law." "Inmates live in constant fear of beatings and sexual assaults. It is so overcrowded that prisoners are kept in cells with up to four times the intended occupancy rate. Some cells have no toilets or running water. The prison is filthy, drafty and mouldy. The smell is overpowering." A prisoner at the Mission jail in BC who is acting as an advocate for others in the jail has told the CBC that "The food is causing people to experience diarrhea, nausea, vomiting. I have experienced this myself many times.” The prisoner, Jean-Paul Aubee added the quality, quantity and preparation of Canadian prison food has deteriorated, saying "I shake a lot because of malnutrition." In an alleged cost savings measure all the food at BC's 5 federal prisons are prepared at the Matsqui jail, then frozen, trucked, and usually reheated before being served. Jennifer Metcalfe, a lawyer with Prison Legal services in Burnaby told the CBC that prisoners at Kent jail were eating cold food after heating units stopped working, adding that food is still being served cold and that "prisoners on halal diets have refused to eat the food because the quality is so poor. Some prisoners got sick from eating fish." Corrections canada claims it spends 12$ per day on food for each prisoner, and this new system has saved taxpayers 3.3 million dollars over the past year .Jeremy Laurin, the despicable spokesman for Public Safety Minister Steven Blaney said in response to criticisms about nutrition in jail: "Prisons are meant to correct criminal behaviour, not serve as a vacation home. We are confident that CSC provides meals that meet appropriate nutrition standards." Howard Sapers, Canada’s prison investigator, is investigating the implementation of the cook-chill program as "food is so essential to the safe and proper operation of a prison." The CBC reports that "one inmate complained that when he found a worm in his canned peaches, kitchen staff told him, "That is extra protein. Just move it out. It’s fine."" Claiming that prison officials did not do enough to protect her, Debbie Miller, a prisoner at the Edmonton Institution for Women has filed a lawsuit against 2 guards, the attorney general of canada and the woman who took her hostage in a February 2013 incident. The lawsuit says that Miller is suffering from PTSD, depression and a host of other mental health disruptions after "prison staff failed to keep safe from Serena Nicotine, a known danger within the institution." In demanding changes to her medication, a transfer to another prison, and a stereo inside her cell, Nicotine took Miller hostage and threatened to slice Miller's throat with a weaponised aluminum pop-can if her demands were not met. The Harper government has introduced legislation this week that will seek to reform sentencing laws to introduce a life without parole provision to the criminal code. Saying the law is aimed at canada's "most heinous" criminals, justice minister Peter Mckay introduced the reforms that will assign an automatic life sentence with no chance for parole for "committing planned and deliberate murder involving kidnapping, sexual assault, terrorism or the killing of police and correctional officers." The reforms will also give judges the independence to add the no parole provision at their discretion in certain cases which do not specifically meet the outlined criteria. In an effort to placate human and charter rights advocates, the government has said that after 35 years a condemned prisoner may seek a release on an "exceptional' basis. Currently, those sentenced to "life" already have to serve 25 years before they are eligible for parole, which is only granted to 1% of lifers. The so-called "Slow Death Row" law has been widely condemned in the academic, legislative, and judicial circles and by prisoner rights activists. We will hear an alternate perspective to Harper's "tough on Crime" agenda in today's feature read. What follows is an interview from NPR with a Guatemalan transgender woman being held in an all-male immigration detention facility in Arizona. Nicoll Hernandez-Polanco is fighting for transgender rights while being imprisoned and has faced abuse and harassment. 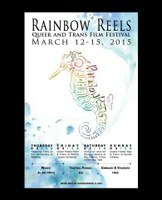 After a great opening night on Thursday, we wanted to remind those in or able to visit Waterloo region this weekend to attend the 15th annual "Rainbow Reels" film festival celebrating the queer and trans communities. You are listening to Waves Through Walls edition of The Daily GRRR! Today is March 13th, 2015, my name is Dan Kellar and we are now moving into the feature portion of our broadcast. That was a read of an article from PrisonWatchUK by Sean Regan which looks at the so-called "scandinavian" prison model which focuses on empowerment and rehabilitation rather than strict punishment. Stay tuned in for more Grand River Radical Radio after we close the podcast with more Mumia, here is Words vs. Deeds.